Damage/Repair Pits, end chips, and general wear. Bead Size 13-14 mm diameter, 54-59 mm p-p. See picture with penny for size comparison. U.S. penny is 19mm in diameter. Additional information: Millefiori is an Italian word meaning " a thousand flowers". Millefiori beads are also known as "mosiac" beads through out the world. The making of millefiori beads is a two step process. First the murrine or cane is made and then these are applied to a molten wound glass core and made into beads. 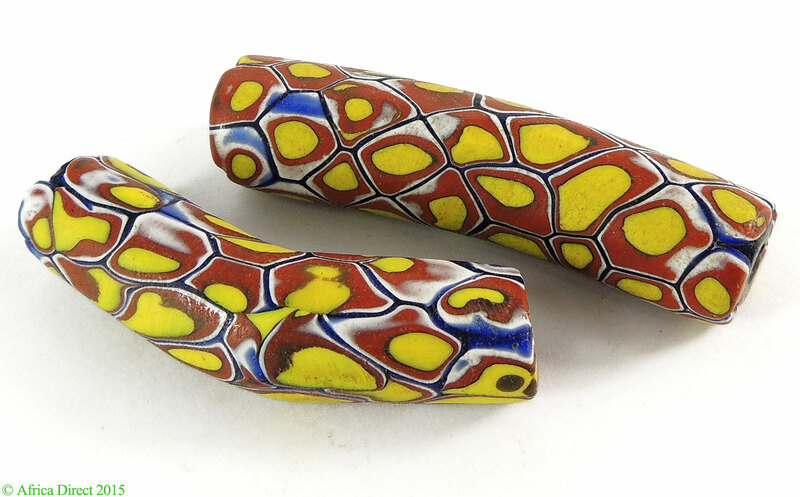 The millefiori beads made in Venice were imported by the thousands to Africa beginning in the late 1800s and traded or sold for various things. Most of the surviving bead sample cards, showing these beads as they were originally sold are dated to the 1920s, but this does not mean these beads were not made prior to that time. As shown on the bead timeline in the History of Beads (Dubin) millefiori beads are dated to the mid 1800 through the early 1900s. 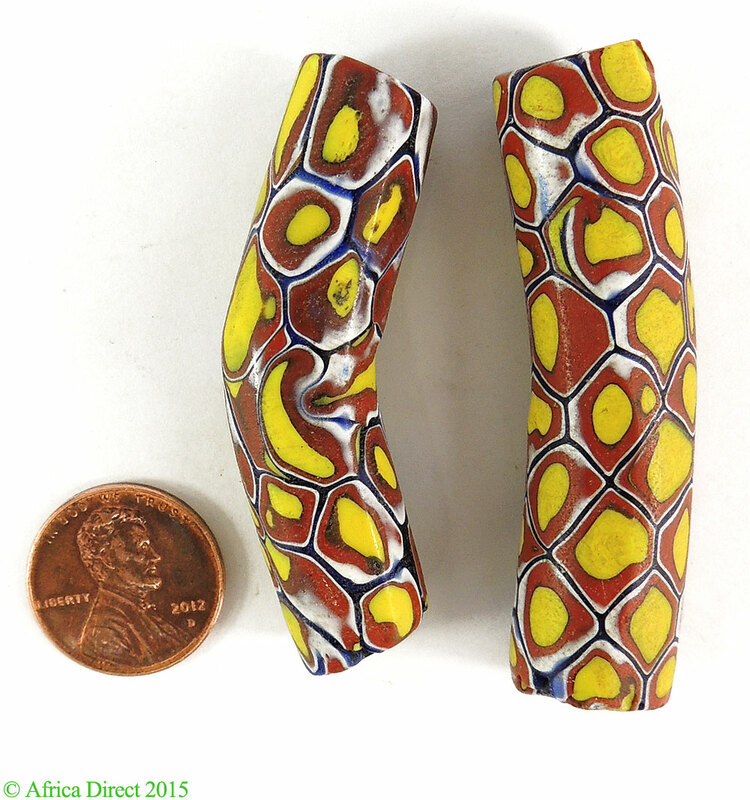 Old millefiori beads started to be imported to the United States from Africa in the late 1960s and were sold as "Trade Beads" by the importers and African Traders. In fact, some African Traders today will show you millefiori beads if you ask for "Trade Beads".